Cupid she’s not—but she’s pretty darn close. Nothing in the world feels better than finding her clients the perfect date. Of course finding one for herself might be nice, but creative bill paying is for college students—not for accomplished doctors in their forties. Satisfied customers keep the electricity on. Everything in Dr. Mariah Bates’ life was perfectly fine until the moment she quit her celebrity radio job to start a dating business. Two years, a cheating ex, and a very ugly divorce later, she’s suddenly homeless and living with her mother. Not exactly how she’d envisioned her life working out. Not that her mom isn’t great, but come on. 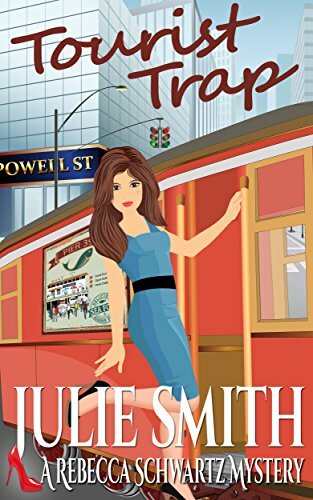 With her cop ex-husband doing everything he can to ruin her business, she’s at her wit’s end. Throw in another cop who makes her believe in love at first sight—or at least lust—and life is a mess. Interesting, fun and tummy tingling, but a mess. Especially since another cop is the last thing she needs. 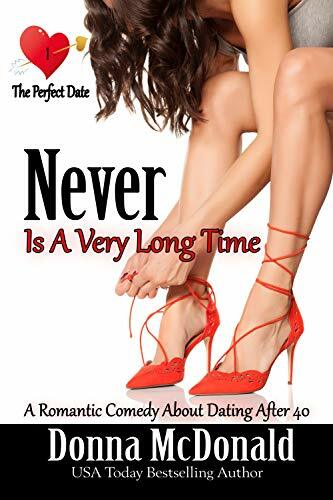 Click here to pick up your free copy of Never Is A Very Long Time in the Amazon Kindle store. A grieving widower. A strong lady. And a little girl who needs them both. 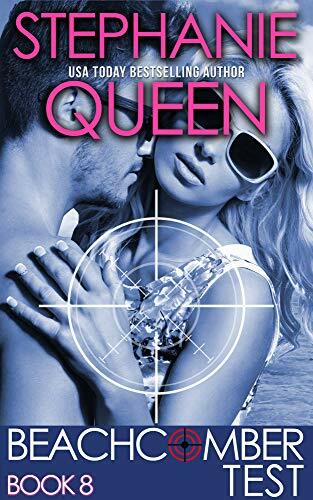 After losing his wife in an accident, GRAHAM ASTOR, DUKE OF KENSINGTON, decides that love is not worth the risk of having his heart broken all over again. Even his little daughter he keeps at a distance, afraid to hurt her with the darkness that now lives in his heart. Since he is unable to be the father she deserves, he vows to find her a mother who will heal her little heart. At a garden party, Graham spots a young woman with a shy smile tending lovingly to her little cousins…and he knows his duty. As the black sheep of her family, ROSABEL LANDER has no illusions about love. After her parents’ deaths, her aunt and uncle reluctantly took her in, demanding nothing short of complete obedience. Unable to live down her past, Rosabel only wishes for one thing: freedom. However, before she dares to take the first step toward an independent future, a cold-hearted stranger asks for her hand in marriage…and as the obedient niece, Rosabel cannot refuse. Will Rosabel find love after all? Or will the memory of Graham’s late wife keep them both from finding happiness? 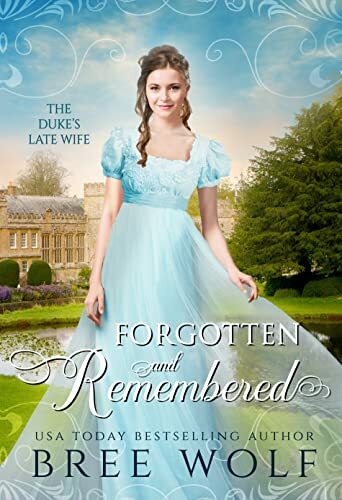 Click here to pick up your free copy of Forgotten & Remembered – The Duke’s Late Wife in the Amazon Kindle store. Jack Winchester was a notorious hitman for a ruthless New Jersey crime family until a job went wrong, and he wound up serving time. Four years later, Jack is free and he wants out of the game, but his boss won’t let him go. Forced to take on one last job to make amends for what landed him in prison, he travels to the small town of Rockland Cove, Maine. There, he not only discovers that the target and money have disappeared; he finds himself falling for a damaged woman, and befriending an unruly son left behind. Under mounting pressure from his boss and local police–as well as the ghosts of his past–he must unravel the mystery and decide where his loyalties lie…before it’s too late. 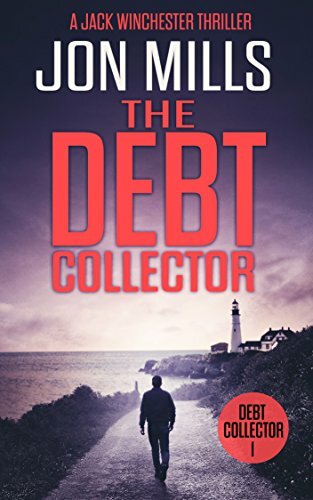 Click here to pick up your free copy of The Debt Collector in the Amazon Kindle store. Lawyer Rebecca Schwartz would pick the one with the body nailed to the landmark cross! Coincidence? Not so much. She’s there because her boy friend’s covering the service for the San Francisco Chronicle. The body’s there because someone’s making a statement he doesn’t want the press to miss. Next: mass shellfish poisoning at Pier 39. A very different kind of serial killer is operating here—one who seems to have a grudge against the whole city. And this is a very different kind of serial killer tale—a funny one. (If your don’t count the murders, or course.) Rebecca’s warm and witty, never takes herself too seriously, and on one occasion offers closing testimony with green hair. A highly embarrassing moment, but the bright chartreuse is all in the service of making her case. No way does she believe her client would nail somebody—especially to a cross. And the things she has to do to prove it are hilarious and often unorthodox, yet always professional. Sometimes hyper-professional–the average lawyer simply can’t be bothered spraying herself with Thunderbird to fit in with her witnesses! A wild ride through Baghdad by the Bay…and a great courtroom drama. Click here or type in http://geni.us/touristtrap into your web browser to pick up your copy of Tourist Trap in the Amazon Kindle store. Natalia Lanska, formidable Polish pianist, is dead. No one is really sorrowing, except maybe her granddaughter Hania, whose own career as a concert artist never took off due to a terrible weight problem. Feeling unwanted, Hania arrives in Warsaw for the funeral hoping for a warm welcome from her relatives. Instead, they saddle her with their appalling children, decamp, and refuse to return. Hania’s situation is at first improved and then complicated when a neighbor–the very correct, very austere descendant of an old Polish family–asks her to proofread an amateur history project. Hania sets to work with a will, and Pan Doctor Prince Konstanty Radzimoyski is surprised when his ideas get more editing than he bargained for. Typing pages of the past, rediscovering her native city, and playing the piano all contribute to taking Hania’s mind off her problems, but can’t change her awareness that the children need help and that her growing attachment to her employer will only give her pain. The summer Hania spends between love, hostility, and the weight of history tests her resourcefulness, but her fresh ideas and readiness to carry on brighten the lives of her new acquaintances. Still, no one, least of all Hania herself, expects that her beautiful qualities will make Konstanty forget her figure and other excess baggage. This book contains a history of Poland in a nutshell and is about seeing beyond the conventions. 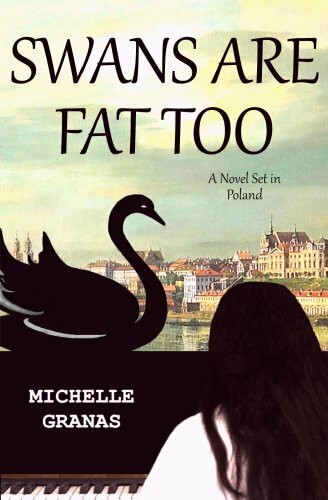 Click here or type in http://geni.us/swansarefat into your web browser to pick up your copy of Swans Are Fat Too in the Amazon Kindle store. The biggest test of Dane’s life comes down to this: Can he give Shana everything she wants from him? Ex-special ops legend Dane Blaise is staking his life on passing every one of Shana’s tests for him. Desperation to keep her with him made him crazy enough to agree to take a divorce case. He’d sworn never to take a follow-the-cheating-spouse case since the day they’d started Beachcomber Investigations together. She was tough and gorgeous, but Shana George never expected much from men romantically speaking. Then again, she never thought she’d quit her dream job at Scotland Yard to work as a private-eye on Martha’s Vineyard. There was no explaining how Dane made her crazy enough to hope. Too many times she came close to leaving. Now she can’t live through another round of dashed hope without leaving for good. This case could be her last. But Even a simple divorce case turns dangerous for Beachcomber Investigations while Dane & Shana’s resolve to stay together is tested to the end. Click here or type in http://geni.us/beachcomber7 into your web browser to pick up your copy of Beachcomber Test in the Amazon Kindle store. Download the Free Kindle Books and Tips blog app for your Kindle Fire or Android-based smartphone or tablet – for free, of course – by clicking here or type in http://geni.us/fkbtfreeappinto your computer’s web browser from the Amazon App Store or click here or type in http://bit.ly/fkbtgoogle into your computer’s web browser for the Google App Store.